Do you have bed bugs? If so, you are not alone. Bed bug infestations are becoming increasingly common in Florence, Darlington, Kingstree, Lake City, Hartsville, and Bishopville. Why? Bed bugs are notoriously difficult to kill, that's why we've created a guaranteed treatment service to eliminate bed bugs once and for all, in 1 simple treatment. Find out more below, or call us today to receive a free bed bug inspection. 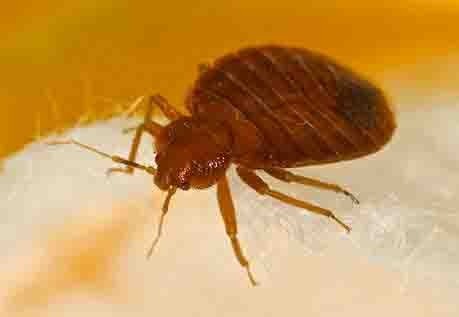 WHY CHOOSE HARRIS FOR BED BUG EXTERMINATION? When you call us, one of our pest control experts will come to your home or business and offer you a free bed bug inspection. He will inspect your home and property and then design a pest control plan catered to your specific needs completely free of charge. Harris Pest Control provides the full range of treatment options and has been protecting homes in the Pee Dee region since 1973. Thanks to our 45+ years of experience, we have been able to perfect our methods of bed bug extermination, prevention, and protection. Let us solve your bed bug problem with our guaranteed bed bug elimination service. GET SOME REST. CALL HARRIS PEST! Harris has multiple methods to rid your home of bed bugs. We recommended our heat treatment, which is the safest and most effective technique to eliminate bed bugs. Other treatment methods utilize chemicals and steam, which are effective options, but take longer to complete and are more dangerous. Heat is a very effective method because it can penetrate hidden areas. At 122 degrees, bed bugs -- whether live adult insects or eggs -- die. Take, in most cases, only one day and requires only one treatment. Does not require removal of furniture and belongings adjacent to treated areas. Environmentally safe and responsible treatment. Effectively treat the entire structure and its contents. Result in an immediate elimination of the bed bug population. For difficult situations, we will offer to deploy a bed bug detection dog. Our specially trained dog will pinpoint the infested locations, allowing us to provide an extra level of accuracy to our treatment service. If the situation requires it, we are capable of treating bed bugs with steam or chemicals. A week following the treatment, we will return to your home to reinspect it. At the same time, you'll receive a 45-day guarantee. For those 6 weeks, we will keep coming back until the problem is solved--with no additional fees. That's our guarantee. Our years of experience and training have taught us that even the most difficult situations can be resolved at a fair cost. When you contact our office, we are happy to provide you with a general cost of service and answer any questions you may have.